To help strengthen the dissemination of Jewish education in Argentina’s smaller Jewish communities in Argentina, the project will facilitate visits by some 20 guest educators, artists and religious leaders to 21 provincial communities. The educators will represent a full range of ideological and academic backgrounds and be knowledgeable in a wider variety of Jewish subjects. Educators will participate in training seminars at the start of each program year which will provide them with background on the communities that the project is targeting, the populations to be served and the content of the topics being taught. Content will be varied and include central Jewish themes such as Jewish tradition, history, literature and holidays, with a focus on leading activities for all age groups as well as for community educators and leaders. Communities are divided into three groups: large communities of 1,000 families (e.g., Cordoba, Rosario, Tucuman, La Plata); medium sized communities of between 100-500 families (e.g. Concordia, Mendoza, San Juan, Santa Fe); and small communities of fewer than 100 families (e.g. Posadas, Rivera). In each location, educators will work with groups of teachers, schools, madrichim, community members, senior citizens and study groups. Each participating community will appoint a local coordinator who will work closely with the coordinator for the entire project. Educators will reside in the large communities for 2-3 months annually and conduct comprehensive programming and activities in the schools, synagogues, and informal frameworks, such as youth groups, young adults groups and others. Each year of the program the educators will be in residence in the different communities at different times of the year, so as to be on hand to teach and conduct events and activities based on the different Jewish holidays. In medium sized communities, educators will visit four times a year for 2-3 days each time, during which they will conduct special events related to the Jewish lifecycle, the Jewish calendar and holidays, and other meaningful activities. In the small communities, the educators will visit five times annually for 1-2 days and provide classes and activities related to Jewish life, learning and identity. The importance of providing small communities with opportunities to stay connected to Jewish life is of significance for the Pincus Fund for Jewish Education. 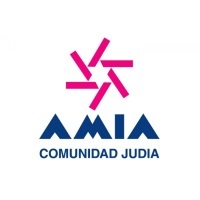 By supporting this initiative, the Fund is helping to ensure the availability of informal and formal Jewish education even in some of Argentina’s smallest Jewish communities, and participating communities have committed to make an effort to continue to host visiting educators after the Pincus Fund grant is complete.